Always one of the main and first places to visit in Florence, Santa Maria del Fiore Basilica steals the scene to pretty much everything in Piazza del Duomo. 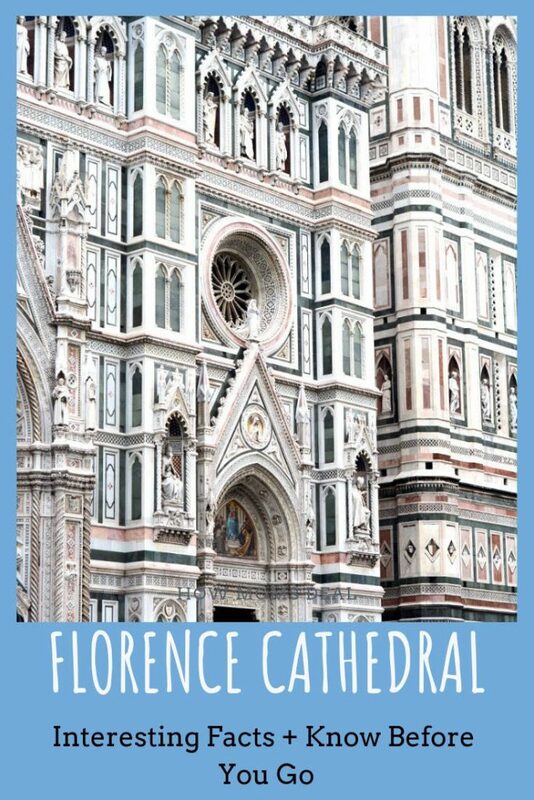 With its imposing facade, Florence Cathedral is a must especially if it’s your first time in Tuscany’s capital. The construction of the cathedral started in 1296, but the facade it was completed only in 1871. The works stopped at the moment of developing the machinery able to work at unprecedented heights. The dome was consecrated in 1436, but the facade remained incomplete until the 19th century when it was commissioned to Emilio De Fabris. De Fabris gave it the appearance we see today. He followed the Gothic-style decorations of Giotto’s bell tower using the same type of many-hued marble. 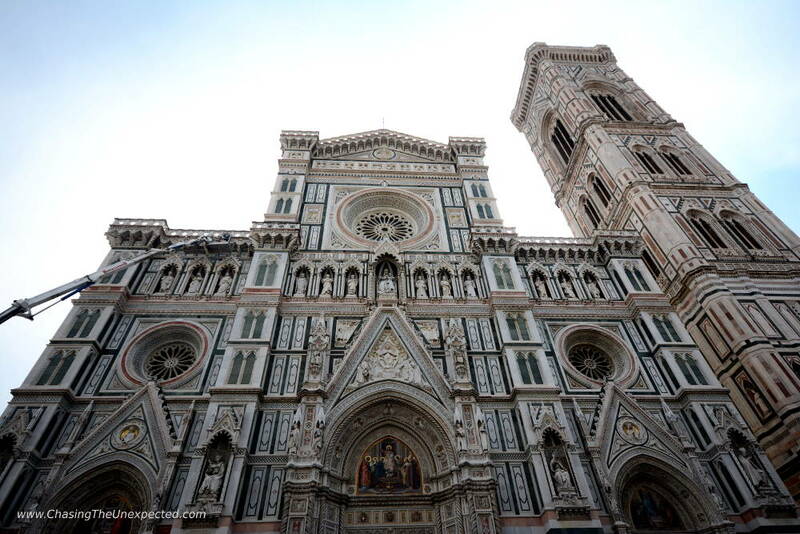 Like many churches in Italy, also Florence Cathedral was built on top of an ancient church. The old Basilica of Santa Reparata probably dates back to the 6th century. It was a thank offering for the Christian victory against the Goths in the early 5th century. At the time of its completion in the 15th century, Santa Maria del Fiore Cathedral was Europe’s largest church. It’s 153-metre long and being pretty bare inside with little decoration gave the impression of an even larger space. To complete the imposing interior are no less than three apses instead of one and the multi-hued floor. 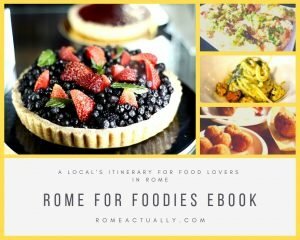 Some of the main buildings Brunelleschi took inspiration from for Santa Maria del Fiore Cupola is Rome’s Pantheon and in part also the feast room of Nero’s Palace described in great detail by Suetonius. As he wrote later, he hoped to outdo the ancient classics. While they were inspired by a “fake cult”, he was working on a temple of the Mother of God, hence assisted by the Holy Wisdom. At the same time, he took inspiration in many ways from the same Baptistery of St. John in Florence. Right after the Roman classic buildings, the other important Christian dome was the round church built on the Holy Sepulchre in Jerusalem. Also known the Rotunda of Anastasis, Emperor Constantine founded it in the 4th century. Brunelleschi never travelled to Jerusalem but very likely he read tales and saw the drawings widely circulating in the Western world. Other domes Brunelleschi might have heard of or read about were the Basilica of Aya Sophia in Constantinople, modern Istanbul, and the Oljeitu Mausoleum in Iran’s Soltanyieh. Brunelleschi’s dome enshrines the heritage of centuries of engineering, culture and architecture from different countries marking an epic defining moment. With a diameter of 45.50 metres, a 116-metre height and a weight of 37.000 tons, the Cupola of Florence is still the world’s largest brickwork dome. And obviously Brunelleschi’s most impressive creation. The title of the Duomo of Santa Maria del Fiore comes from the symbol of the city of Florence, the lily (“fiore” in Italian means “flower”). You will see the red lily pretty much everywhere in Florence, especially official and public buildings. Santa Maria del Fiore was paid for by the local Municipality because it was meant to become a “state church”. This is why the paintings, frescoes and portraits along the two side naves are part of a program to honour the people who played an important role in the Florentine life and used their talent for the good of the community. Some of this artwork include a painting portraying the famous writer Dante Alighieri, portraits to honour Giotto, a fresco with Niccolò da Tolentino, and the portrait of Filippo Brunelleschi among the others. Even though built following a design by great artist Giotto, he could only see the first part of the famous Campanile complete. After his death in 1337, other artists that worked on the bell tower are Andrea Pisano, Luca della Robbia, Alberto Arnoldi and was finally complete in 1359 by Francesco Talenti after the years of the deadly plague that hit the city between 1348 and 1350. The main landmark of Florence city centre, Santa Maria del Fiore Cathedral is part of a gorgeous complex that can take you one or two days to visit. 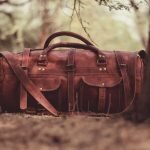 Depending on how much time you have and how much of its art and architecture you are aiming at discovering, you will decide what to see and do. As soon as you step over the threshold of Florence Duomo, you will find a stark contrast with the opulence and finely detailed decoration of the facade. This has two main reasons. First of all, it symbolises the idea of space they wanted to give to the city’s main worship place. But also, it reflects the austere spirituality of Florence in the Middle Ages and early Renaissance. It’s the architectural transposition of the rigorous spirituality the philosophers of the religious life in Florence like Girolamo Savonarola and San Giovanni Gualberto advocated. Second, in 1966 a massive flood brought much damage to the city and much of its artwork, including Santa Maria del Fiore Duomo. What remained of its works of art is now kept in the Museo dell’Opera di Santa Maria del Fiore. The museum displays a collection of more than 700 masterpieces by artists such as Donatello, Michelangelo and Ghiberti among the others that once decorated the cathedral. If you only want to enter the cathedral, you don’t need a ticket. This is because you might just want to enter to pray, and this can’t be charged. This is also why sometimes you can find a long queue. For all the other buildings of Santa Maria del Fiore complex, you need a ticket. It’s a cumulative one costing 15 euro and valid for two days. Once inside the Duomo, you can’t possibly miss a visit to the underground Crypt. If the Cathedral is sober and plain, the Crypt hides many treasures. You will view what remains of the early-Christian basilica of Santa Reparata on top of which Santa Maria del Fiore was built. You will descend some two meters and a half below current street level to find the altar of the ancient church and its mosaic floor. There are also relics from Roman and medieval times and the tomb of architect Filippo Brunelleschi. 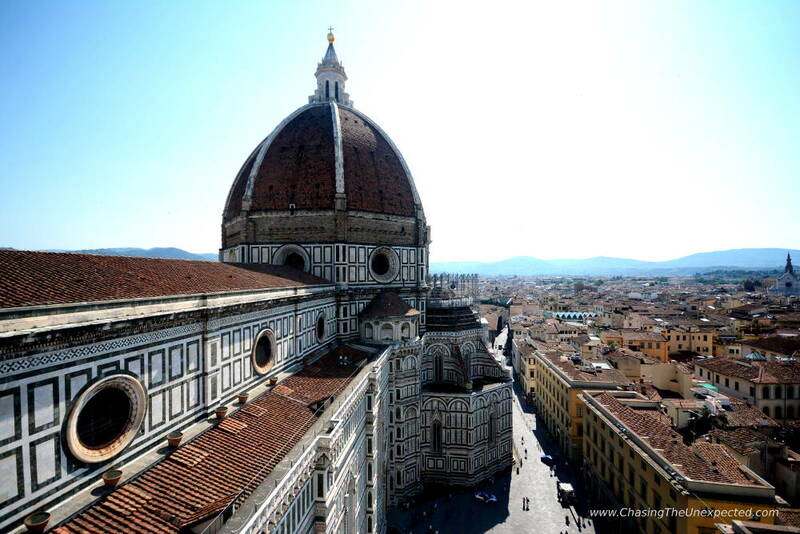 Once you buy or book your ticket for Santa Maria del Fiore complex, you must reserve your spot for climbing Brunelleschi Dome. In high season, you might need to wait even a couple of days before finding a spot. Especially if you are a larger group. This is why, if you can book online, it will save you time and headache. 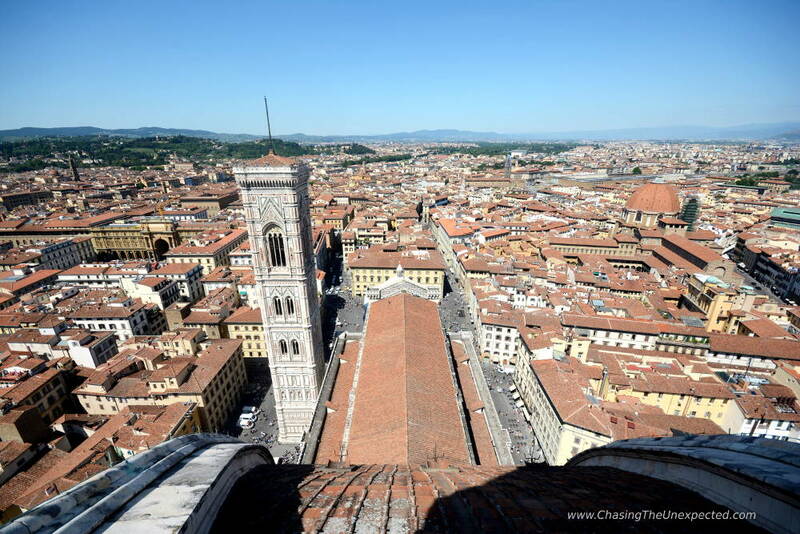 If you are going to Florence in the low season like we did (as low as it gets in Florence! ), you can buy your ticket right from the ticket booth or vending machines facing the Baptistery. Same thing here: after you purchase your ticket, you still need to reserve your spot for the Dome. Reservation is free of charge but mandatory. You can do so only through the vending machines as the office clerks can’t do it. The instructions of the vending machines are pretty easy and usually there is someone to help. As mentioned above, only the dome requires prior reservation. However, unless you are showing up at 8 am, booking your spot to climb the Giotto bell tower is recommended. If you really want to climb it, you have limited time and want to be sure not to queue too much, do reserve your spot.